Mobihome IRM Riviera Suite 2, 33m2 (Model 2018), for 4 to 6 people 50 m from the pool and 80 m from the Dordogne river, on a shaded and delimited grassy site. Perfectly secure housing. Equipped kitchen (4 gas burners, hood, fridge-freezer, microwave) opening onto a covered terrace with garden furniture. The main room has a seating area with convertible sofa and a dining area also overlooking the terrace (TV). 1 bathroom with shower and 1 independent WC, 1 electric radiator in each room. 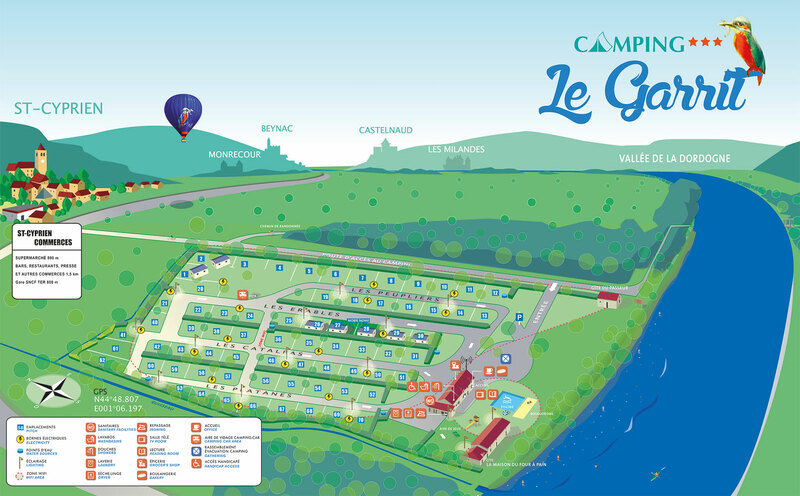 The must of the camping in Dordogne.